Bicycle tour The Hague, a wonderful way to enjoy the city! I take you on a trip to see well known and lesser known buildings. From the Binnenhof to the Peace Palace. Alongside canals and the Lange Voorhout. Through green parks and alongside the seafront. 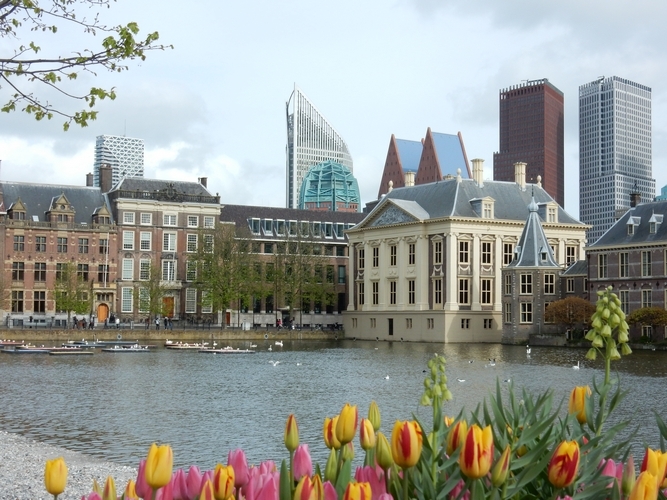 You will hear interesting stories about the people that lived and worked in The Hague through the centuries. There is a lot to discover during your family or company outing. Because each group is different, each bicycle tour The Hague is different. A regular bicycle tour The Hague lasts 2 hours but it can be adapted – special, shorter, longer – to suit your wishes. I can also offer you a private tour. Bicycle tour the Hague, the international city of peace and justice. We cycle past the buildings where this theme is put into practice. 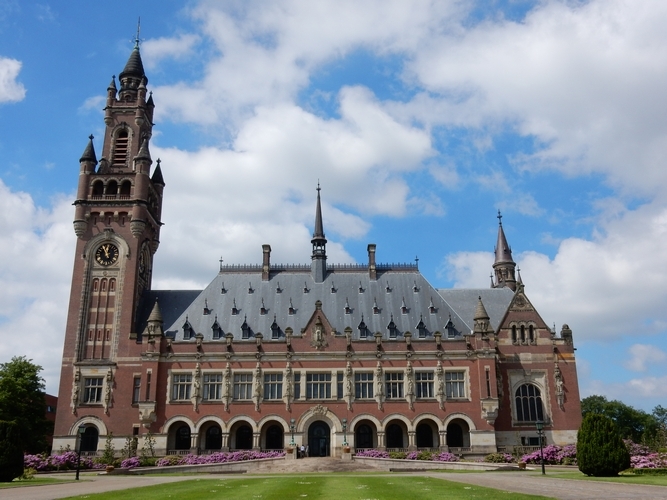 They include the Peace Palace, the symbol of international justice for more than 100 years. The Hague and Scheveningen: separate and yet together. We cycle through the historic centre of the Hague to the seaside resort and village of Scheveningen. And to the sea, of course! Death, mourning and burial are fascinating subjects that have inspired beautiful and interesting works of sculpture, architecture and landscape design. 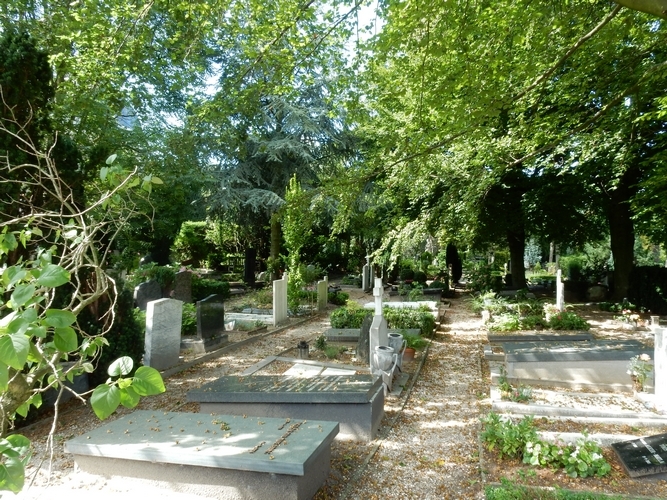 The Hague offers wonderful examples of all three, both in- and outside cemeteries. Bicycle tour The Hague: if these tours are scheduled at your request they last 2 hours and cost €15,= per person (bike rental not included). For companies: VAT will be added. If you do a bicycle tour with fewer than 6 persons you will pay for 6.